Please watch the video above - it's better seen for real! 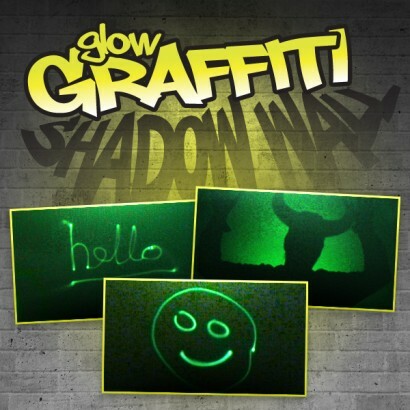 This industrial grade photoluminescent self adhesive vinyl is used in glow in the dark safety signs in buildings and glow strips found in airplanes - it can be cut into strips or shapes of your choice. 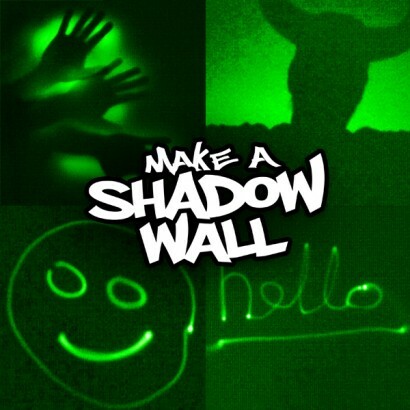 It can be stuck onto items such as steps, light switches, door knobs, etc etc - anything you want to glow in the dark. 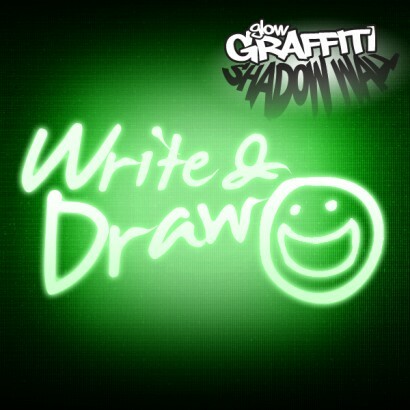 It is ideal for arts and crafts projects and sign writing. You will need a bright light of some description - we have added some UV torches and lasers above that work best with this material - but you can also use your iPhone torch app, a real torch or a bright keyring torch. 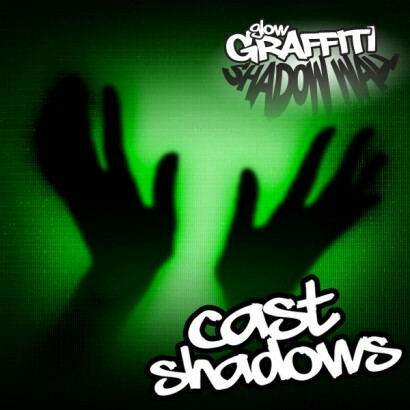 Sometimes seen in museums and indoor play areas known as 'shadow walls' - these are usually accompanied by an automatic flash. Instructions tell you to stand against the wall, the flash goes off and in the dim light a silhouette or shadow is shown with the exposed areas glowing brightly. 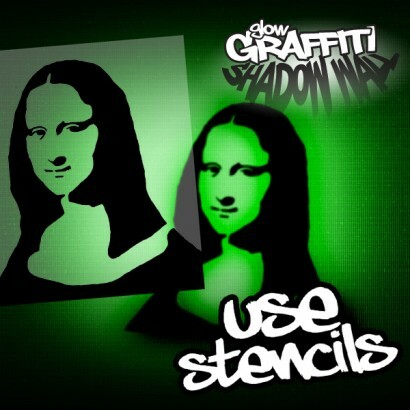 This product is suitable for both commercial and domestic use and is premium grade photoluminescent vinyl. 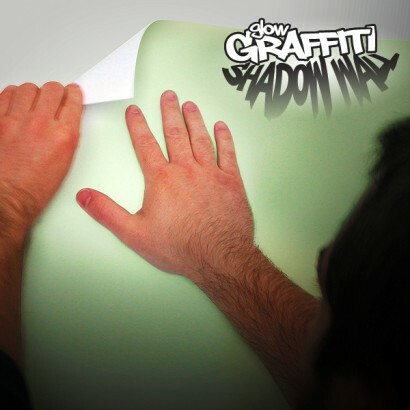 The Glow Shadow Wall vinyl has a self adhesive backing that will stick to most flat surfaces such as painted walls. However, you will need to thoroughly clean any surfaces to ensure the vinyl sticks properly. If your surface is not suitable we recommend that you apply the vinyl to a piece of hardboard or MDF and then affix to the wall. If the product will be used frequently, such as a commercial application, we recommend that it is covered with clear perspex or safety glass to protect the surface of the vinyl. If you are unsure that this product will stick properly we recommend that you cut a small strip, apply to the surface and leave for a day or two to see if it is firmly stuck or if it starts to peel at the edges. You may wish to apply the vinyl to some hardboard/MDF and then fix the board to the wall. * Please note that red or green light (including lasers) will not make this glow. My daughter absolutely loves the shadow wall. We have had so much fun already creating all sorts of weird and wonderful effects. Brilliant fun, has kept me ,family and friends occupied for hours, who needs a tv when you have this.